Loosely based on the movie with the same name, Super Star Wars: The Empire Strikes Back is a 2D run and gun video game released in 1993 by LucasArts for the Super Nintendo Entertainment System (SNES). It is the second game in the Super Star Wars game series and it shows significant improvement from the first game, Super Star Wars. It is based on the 1980 film The Empire Strikes Back. The game was followed by Return Of The Jedi. Such improvements include the quality of the graphics. Super Star Wars: The Empire Strikes Back used Mode 7, an SNES graphics mode that lets the player view blind areas by rotating the stage. Also particularly popular with users are the improved aesthetic and the Imperial March game music. It takes place in three planets, namely Hoth, Dagobah, and Bespin, and the background details are more meticulous than that of the previous installment. You are, however, definitely going to need the force with you. The entire Super Star Wars franchise is not for the faint of heart and hands, and Super Star Wars: The Empire Strikes Back is no exception. The game plot is an exaggerated version of the movie to incorporate more fighting. From lasers to icicles to booby traps, all the elements are designed to kill you, even when you choose to play at the easiest setting. But the designers of the game aren’t entirely cruel – they added significant upgrades in controls and weapons, too. Controls are more responsive compared to the last game, and new moves like the double jump make jumping controllable and precise. You will also have the option to have two weapons you can switch out by choice. The returning characters, Luke Skywalker, Han Solo, and Chewbacca now come with more firepower, such as lightsabers, grenades, and blasters. Most players deem this game impossible to finish, but if you stick through it and keep playing, you will be rewarded well. Super Star Wars: The Empire Strikes Back wraps off beautifully in a cinematic, climactic ending where you will confront Darth Vader on the boss level on this epic journey. Overall, the Mode 7 graphics, the weapon upgrades, and the dramatic plot makes for an extremely difficult but enjoyable gaming experience. Super Star Wars: The Empire Strikes Back is recommended for Star Wars Fans with a lot of gaming skills under their belt. Super Star Wars: The Empire Strikes Back has been ported to SNES (this version), and Nintendo Virtual Console. But you can play it here online, at the top of the page. 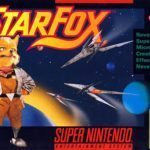 You don’t need an SNES emulator!